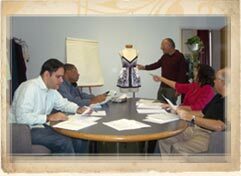 Leonard A. Feinberg, dba Mister Noah, is celebrating 40 years as a leading maker of Junior Fashions. We are a 3rd generation family owned business focused on providing customers with personal attention, reliable delivery, and of course, all the latest and most stylish Junior Active Wear in the marketplace. We are known primarily for our Feathers label. Feathers’ Fall Line of tops, pants, jog sets, sweaters & jackets, as well as its Spring Line of shorts, capris, pants, tops, jackets & woven blouses, are a reflection of today’s current styles. Our understanding of not only our customers, but also the end consumer, enables us to achieve the highest sell through rates. Our showroom is located in the heart of New York’s fashion district. With three full time in-house designers and six sales specialists, we are well positioned to give individual attention to all of our customers, from many of the leading retailers in the world, to the trendy boutiques, and every size in between. Our experienced buyers have established long standing relationships with many of the top makers overseas, allowing for sourcing capabilities that are truly unique in the industry... and this means great price points for you. 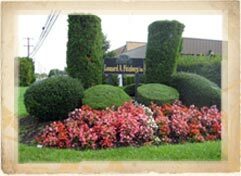 Corporate headquarters are in Bensalem, PA, and home to our modern 31,000 square foot warehouse facility. With all of our personnel having 20+ years of experience each, our customers can be sure of consistent on time delivery. 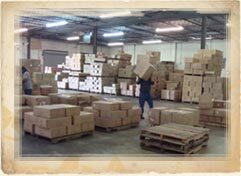 Our office staff is equally experienced in handling their responsibilities, from order fulfillment and importing, to billing, EDI communication and accounts payable & receivable. With the best in sourcing, designing, delivery and customer service and satisfaction, come see for yourself why we have been so well respected in the business for over four decades. We look forward to meeting you and working with you!